Jewelry won’t change the world – but the people who wear them, will. 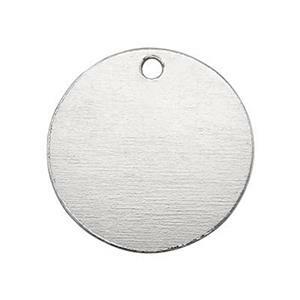 The SB09 – a bright Sterling Silver machine stamped 12.5mm 24 gauge circle blank tag, with a 1mm hole. Made in Italy. So the only tag able to hang on your jewelry clientele will be the one they choose.